Gauhati University Recruitment 2017- Research Scientist, Tech. Associate, Laboratory Helper & Bearer Post. - Jobs4NE : Jobs in Assam and North East India. 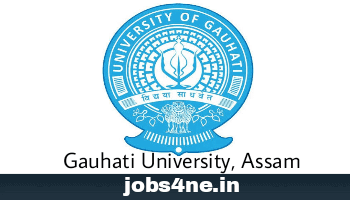 Gauhati University Recruitment 2017- Research Scientist, Tech. Associate, Laboratory Helper & Bearer Post. Applications on prescribed format are invited from the eligible Indian citizens for the following posts for operation, maintenance & management of the ST Radar Centre at Gauhati University for N.E. Region. Last date for receiving of application: 16-06-2017. 1. Research Scientist (Category : A, B & C): 3 Nos. (UR). A) M. Sc. in Physics with Ph. D. in Physics in the field of Atmospheric Sciences with minimum 4 (four) years of post Ph. D. research experiences. Desirable: Experience in development of Remote Sensing System relevant to Atmospheric research. B) M. Sc. in Physics with Electronics as special paper with at least 3 (three) years of research experience in signal processing and hardware related to ST Radar Systems and with relevant knowledge on Atmospheric Sciences. C) M. Sc. in Computer Science/ Information Technology with Ph. D. in the field of Atmospheric Science. Experience in handling large volume of data in Parallel Computing Systems will be preferred. Age Limit: For all the above 3 Posts, 21-43 years as on 01.01.2017, as per latest Assam Govt. rule. Scale of pay: Rs.15,600- 39,100/- + Grade Pay Rs 6,000/-. 2. Technical Associate / Scientific Officer (Category A & B): 2 Nos. (UR). Qualification: Technical Associate / Scientific Officer: (Candidate must specifically mention the category of post – A or B, he/she has applied for on the prescribed application form). A) M. Sc. in Physics with Electronics as a special paper and at least 3 (three) years of research experience in the field relevant to Atmospheric Sciences. B) M. Sc. in Computer Science/Information Technology with 3 (three) years of research experience in the field of Atmospheric Sciences and Parallel Computing System. Age Limit: For the above 2 posts: 21-43 years as on 01.01.2017, as per latest Assam Govt. rule. 3. Laboratory Helper/ Lab Bearer: 1 Nos. (UR). Laboratory Helper / Lab Bearer: HSLC with 5 (five) years of experience in handling of laboratory equipments/systems and office work related services. Experiences must be from Government or from recognized institutions. Age: 21-43 years as on 01.01.2017, as per latest Assam Govt. rule. Scale of pay: Rs.4,560- 15,000/- + Grade Pay Rs.1,800/. Application fee: Candidates will be required to pay an amount of Rs. 1000/- (Rupees One Thousand) only and in case of SC/ST Rs. 500/- (Rupees Five Hundred) only by Demand Draft in favour of the “Registrar, Gauhati University” payable at SBI, G.U. Branch as an application fee for the post. How to Apply: Prescribed application forms are available in the University website: www.gauhati.ac.in. Completed applications in the prescribed form along with necessary enclosures must reach “The Registrar, Gauhati University, Guwahati-14 latest by 16th June, 2017. Two copies of application with all testimonials are needed to be submitted. The envelope containing the application form must indicate the name of the post & advertisement no.